I usually store my finished cut flower work in a refrigerated environment. 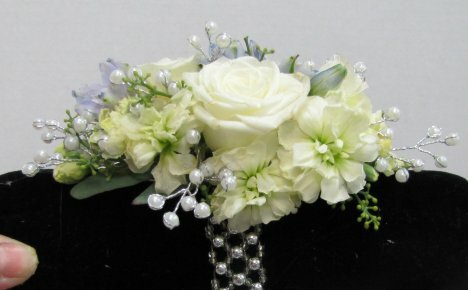 The flowers wilt more quickly without a water source and I want to extend my corsages to last as long as possible. 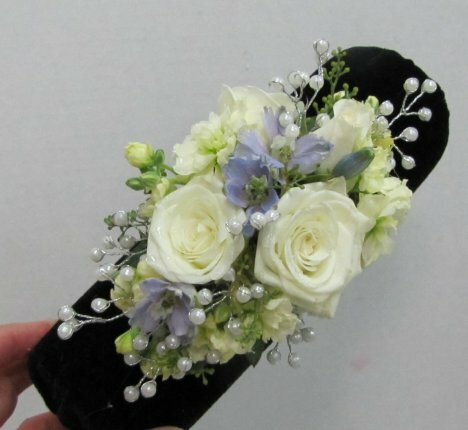 A side view shows a corsage with a lot of interesting design elements, but not overpoweringly high to interfere with the wearer's movement. 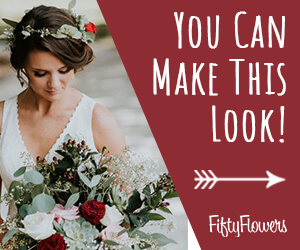 Make sure your corsages look good from all sides, checking to see if there are any open spots that you need to glue in another flower or two. 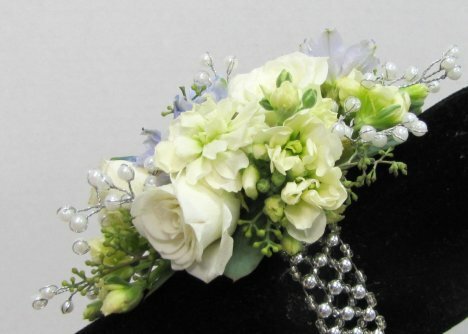 This dainty design can be worn on the wrist or around a small purse. The wrist band could be quickly snipped off if the wearer decided she wanted a pin on rather than a wrist design. 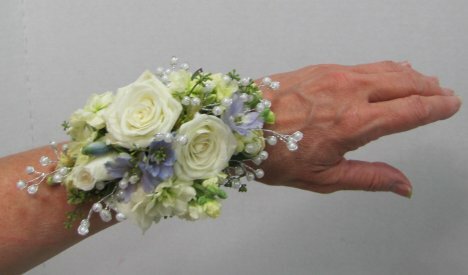 It is best to check ahead of time, however, rather than waste the cost of a wrist bracelet simply because a grandmother doesn't like the feel on her arm and wants a traditional pin on instead. 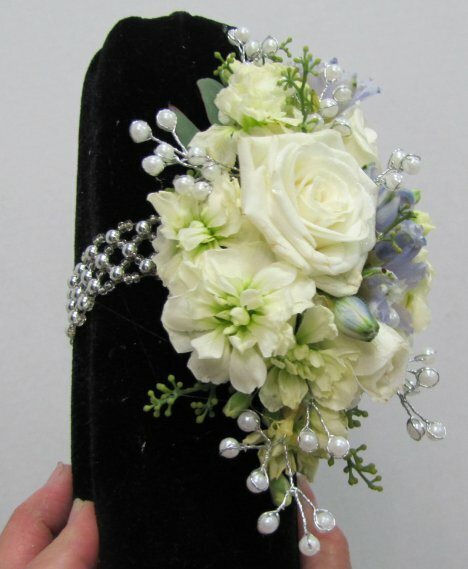 The size of the wrist corsage should compliment the size of the wearer's hand and the dress that she wears. Always mist the final design well with a flower sealant such as Finishing Touch. Allow to dry before placing into the refrigerator. 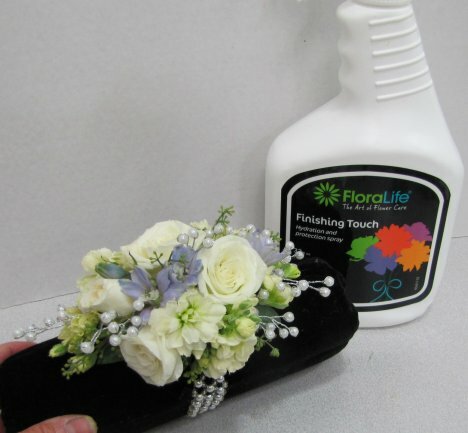 A good flower sealant slows the dehydration of the petals and slows petal transparency.